Industrial 3D printer manufacturer German RepRap, based in Munich, first introduced its large X1000 3D printer in 2014, and it’s been evolving ever since. The industrial printer, with a massive build envelope of 1000 x 800 x 600 mm, was used last year to help TAKATA PlasTec get automotive parts to market faster, and recently German RepRap teamed up with the Darmstadt Technical University Sailing Team to help develop the latest iteration of its sailboat. We’ve seen 3D printing technology used to develop sailboat models and components, and even a 3D printed yacht, but this sailboat is different – Sailing Team Darmstadt is building the first autonomous, energy self-sufficient sailboat to sail across the Atlantic Ocean. The team’s very fitting motto is “Technology learns how to sail.” Sailing Team Darmstadt has been working on this project, and autonomous navigation systems, since 2008, and has grown to 40 members. Its first unmanned prototype, with a length of only 43″, successfully sailed to predetermined GPS coordinates over four miles away at the 2013 World Robotics Sailing Championships in France, and also managed to complete all the tasks that usually need a human by itself. Two years later, Sailing Team Darmstadt got to work on a larger model, with a goal of having it cross the entire Atlantic on its own. As this task has never been accomplished before, the sailing team set down a strategic plan, and split into different groups to focus on the areas of control systems, electronics, mechanics, navigation, organization, power supply, and software. The team chose the German RepRap X1000 3D printer to offer support in all of these areas, as its ability to fabricate parts with large dimensions fulfilled their requirements. The X1000, in addition to 3D printing cost-effective prototypes, fabricates complex, functional modules that are used for more low-stress applications. 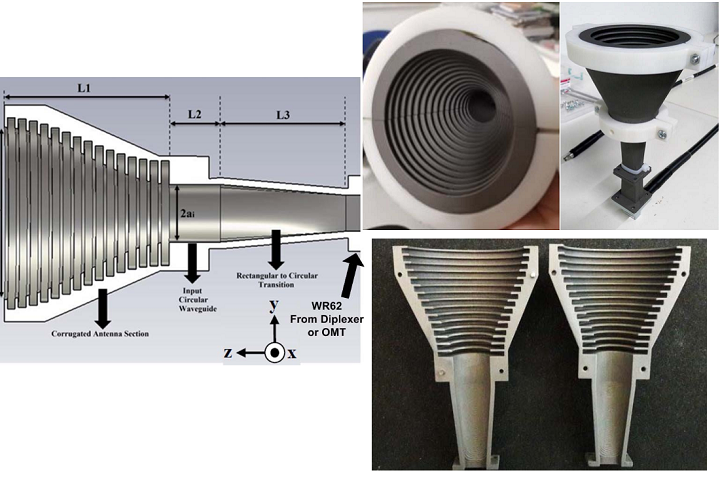 Another advantage of 3D printing is rapid production of ultra-light components. By watching and evaluating how the 3D printed parts perform, Sailing Team Darmstadt gains a deeper understanding of how the forces are distributed, and the potential for optimizing the parts. The team is also working to 3D print a complete model of the sailboat’s hull, in order to demonstrate the finished boat’s performance at trade shows. Another reason that the team chose the X1000 is its ability to use different materials. Since the sailboat needed a material that would be more resistant to slow thermal deformation, the team mostly used PET-G filament. The material is able to maintain strength and form at temperatures up to 176°F, and is just as easy to process as PLA. It also has PLA’s high surface quality, so no post-processing is required if it is applied correctly. PET-G also adheres well to standard PET film, and has very little warping or distortion. As the sailing team would be working on electrical installation, PET-G has another bonus in that it’s classified as flame-retardant according to fire code (Brandschutzvorschrift B1). PLA filament was also used to produce some smaller mounting parts, and for the transmission. German RepRap’s verified partner, WDS Software & Service GmbH, also offered a helping hand with Sailing Team Darmstadt’s project. At the upcoming Rapid.Tech 2017 trade show and conference, which will be held from June 20-22 in Erfurt, Germany, a sailboat prototype will be 3D printed live for everyone to see on a German RepRap X1000. In addition, the Darmstadt Technical University Sailing Team will personally introduce its prototype, already decked out transmission, motor, and electronics, at Booth #321 in Hall 2. Discuss in the Autonomous Sailboat forum at 3DPB.com.